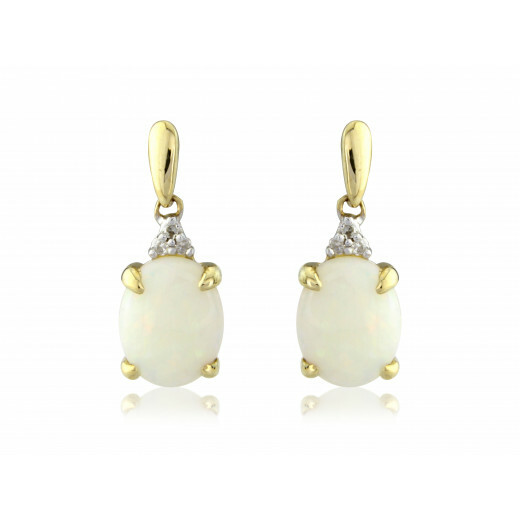 The unique iridescense of smooth white Opal glows from these beautiful Yellow Gold Earrings. 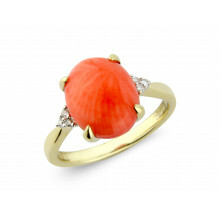 A minimal claw setting, a simple bail and side Diamond detailing complement this unusual stone perfectly. 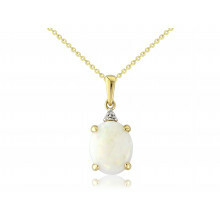 A wonderful gift, especially for those who have Opal as their October birthstone. 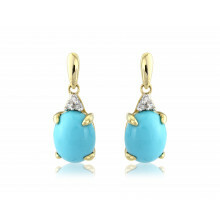 The Earrings have a simple post and butterfly fastening.